It's always nice to be able to travel a little bit and find inspiration in new places. 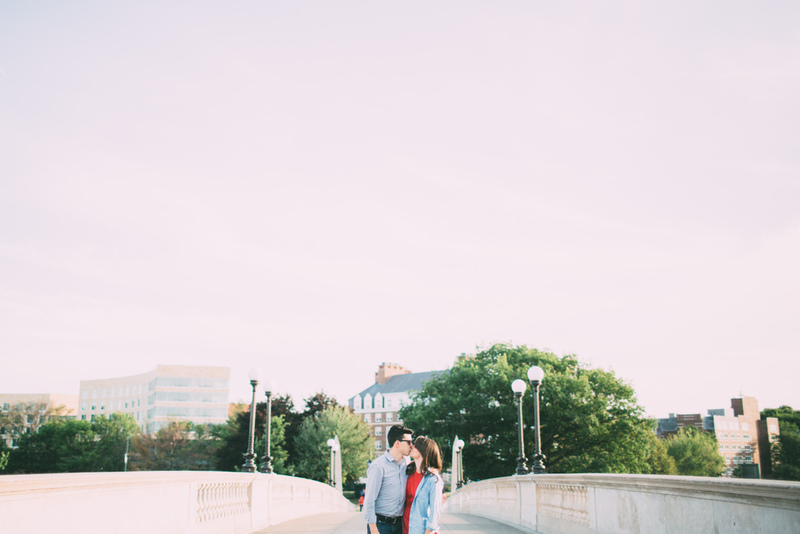 I was so excited when Sarah and Jason wanted to have their engagement session in Cambridge, where they live, because I got to spend an evening shooting with a totally new backdrop! (Of course don't get me wrong, I LOVE shooting in Maine, but change is good!) Sarah and Jason took me to several awesome locations around Harvard Yard, Harvard Square and Somerville. It was such a great change of pace and scenery, and I am in love with these images! Not to mention Sarah and Jason- I am so excited to shoot their wedding in Gloucester this fall!